If you want to bring a neighborhood together, breaking bread is a beautiful place to start. 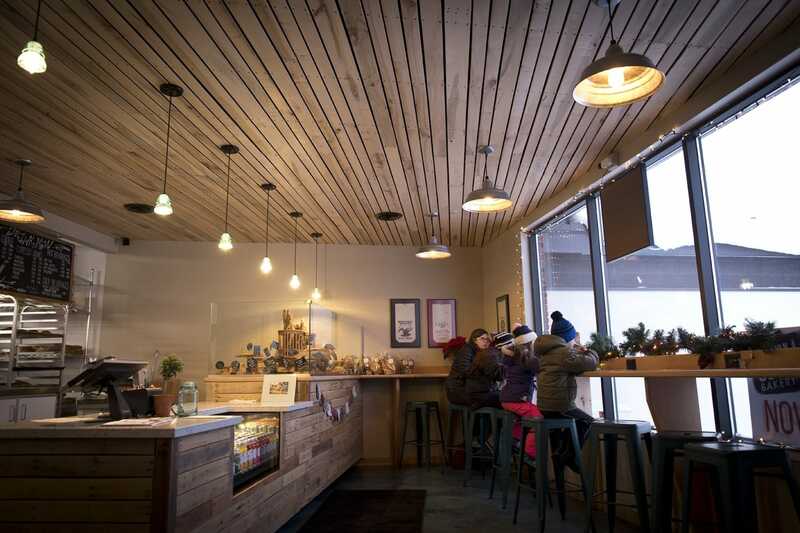 Begin your morning at Common Good Bakery in Traverse City. This story is featured in the December 2018 issue of Traverse Magazine. Get your copy. The stars are out, and so are the morning buns. 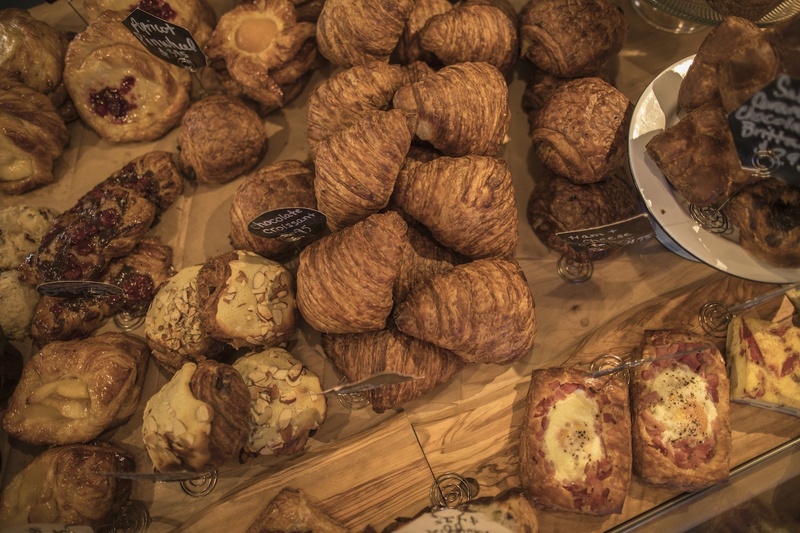 It’s a happy day at Common Good Bakery, most especially in the pastry case. Besides those buns—croissant dough rolled up with cinnamon, sugar and orange zest—there are buttery cheddar scones, almond croissants anointed inside and out with frangipane, and plump pain au chocolate that were hours in the making. Before their 6 a.m. debut, all these pastries were mixed, scooped, patted, proofed, folded, rested, rolled and many other verbs that makes them so irresistible. And those breads: sourdough country loaves, with funny little “ears,” and sesame semolina baguettes, tips kissed with char. The aroma makes you want to tuck one under your arm and run to find the nearest pot of soup. If the oven bellows and hisses when kids are in the store, Gollan teases that he’s keeping watch on a dragon in the back. It’s kind of true. 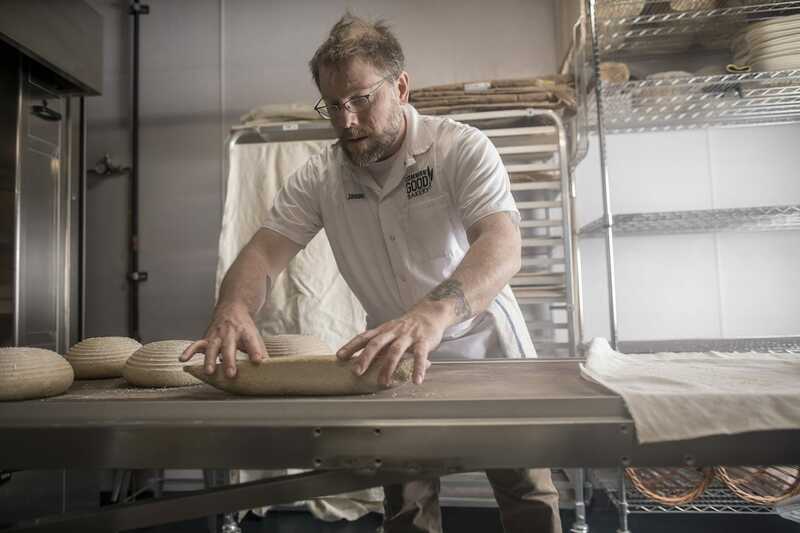 Gollan, along with sous chef Kait Kelly, arrives at 1 a.m. to feed the beast up to 200 pounds of dough per hour. They make all the table bread for The Cooks’ House. They bake and deliver the ciabatta rolls and brioche buns Rare Bird Brewpub uses for sandwiches and burgers. The direct-to-restaurant business is the perfect balance, says Gollan, to the model he and his wife, Linda, a hospice nurse, wanted for their bakery from the start. A corner place focused on the surrounding neighborhoods. 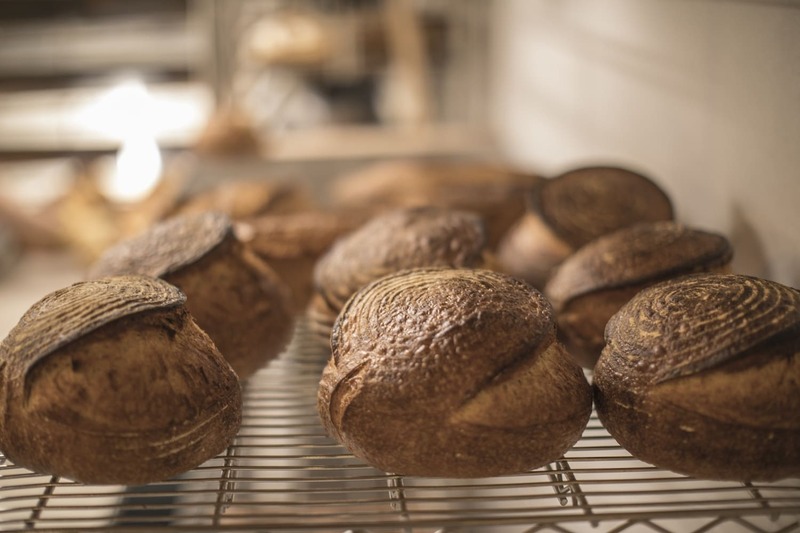 They bake to build community, in person, making sure the people of Traverse City have incredible bread to mop up their stews and to transform everyday breakfast toast into an event. “Day to day, I do everything in the same order. That allows me to work on the nuance of everything, including how efficient my movements are and other things that don’t matter to anyone else,” he smiles. Back to the pastry counter: A man, on his morning commute, picks out an apricot Danish. Based on the twinkle in his eye as he carries the bakery bag with a scratch-made gift inside to his warm car, those things do matter to this guy. 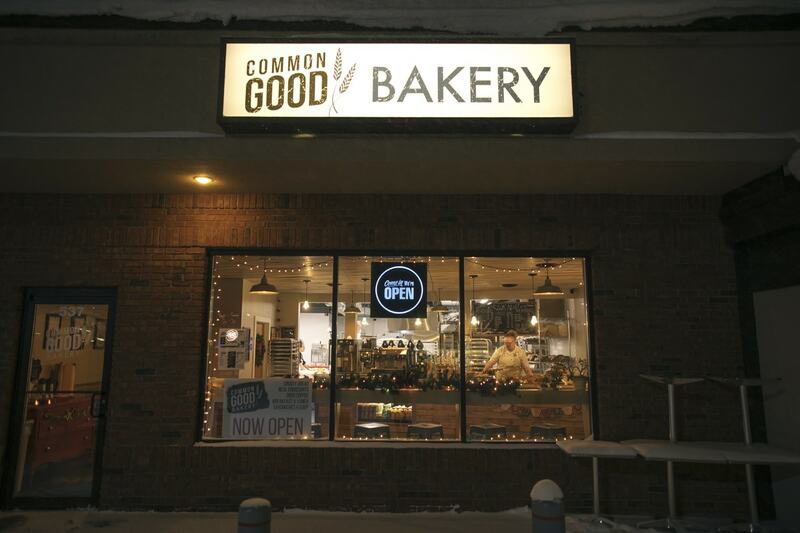 Common Good Bakery is open Tuesday through Saturday in winter from 6 a.m. to 3 p.m. Visit the shop at 537 W. Fourteenth St.
Gollan takes the “common good” part of his bakery name seriously. He teams up with The Little Fleet and chef friends from local restaurants including Raduno, Betty’s Hot Dish, The Cooks’ House, S2S Sugar 2 Salt, Press On Juice and Harvest TC, for a free community meal that supports local charities. Local chefs donate soup. Gollan donates bread. You come eat soup and donate what you can to the charity selected each month. “Soup & Bread” night is at The Little Fleet, 6–8 p.m. the second Monday of the month through the winter. Emily Tyra is editor of Traverse Magazine. emily@traversemagazine.com // Michael Poehlman is a Traverse City-based commercial, portrait and fine art photographer.